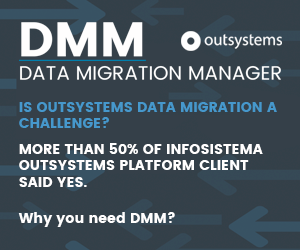 Next Webinar DMM Overview - May 15th 2019, at 11:00 AM BST - Register Now! Did you upgrade servers, migrate apps but now you need to migrate the data? Need to migrate data from the Qual to Prod Environment to populate lookup data? Need to migrate from Prod to Qual to replicate situations that need fixing? The configuration of the migration process is made by direct connection of databases or Excel format. Accelerator Component for dashboards and information reports generation. It enables the dynamic creation of dashboards and reports in different formats, customized according to each user. Accelerator Component for reports construction. Enables the generation of user-friendly reports in self-service format customized to each user. Accelerator component for generation of audit records. Generic module for creation of audit records in synchronous or asynchronous format with complex data structure, including complete information of the data before and after modification.